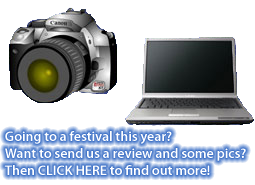 FIRST ROUND OF ARTISTS ANNOUNCED FOR FORESHORE FESTIVAL 2012! On November 24th some of the biggest acts in electronic and live music will be preforming in Canberra at Commonwealth Park for the 6th annual Foreshore Festival on a brand new site. Foreshore Festival 2012 will be held at Commonwealth Park, encompassing Stage 88, Regatta Point and the beautiful surrounds, including the Lake Burley Griffin foreshore. STEREOSONIC 2012 DATES AND LINE UP ANNOUNCED! 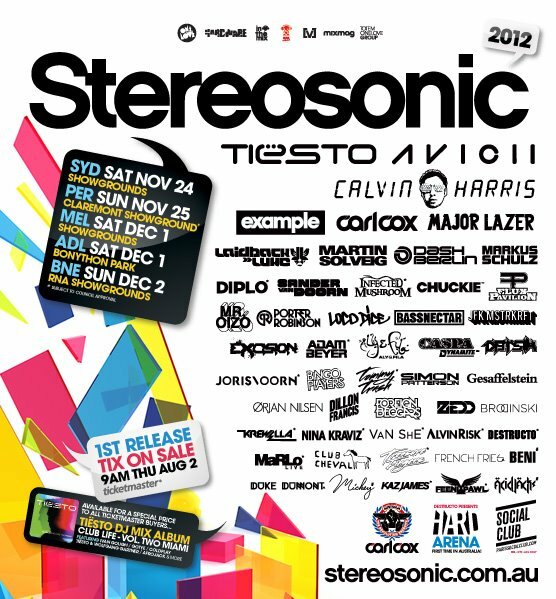 So after a long wait and a lot of rumours the Stereosonic festival 2012 dates and line up are here!! Heading to Sydney, Perth, Adelaide, Melbourne and Brisbane this coming November and December Stereosonic will feature some of the world’s best dance music artists including Tiësto, Avicii, Calvin Harris, Example, Carl Cox, Major Lazer, Laidback Luke, Martin Solveig, Dash Berlin, Markus Schulz, Diplo and many more! The first release tickets go on sale 9am, Thursday 2 August, through Ticketmaster – the festival’s new ticket-seller. Summerdayze organisers have annnced the first artists for this year’s festival which includes Pendulum, Snoop Dogg, Scissor Sisters, Calvin Harris and Moby!